Popular Sports Bar With Great Food! This Awesome sports bar, which has been operating since 1989, draws crowds from all over the Inland Empire. 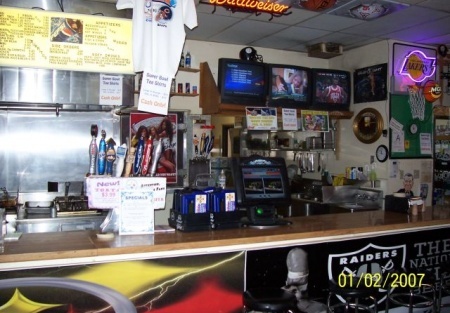 Boasting the coldest selection of beer in town, and serving up great food this sports bar is a very popular spot. With 15 televisions, plus video/arcade games, and pool tables, this Bar is located in the heart of a very busy strip mall. There are 3,705 sq. ft. and inside seating for 180, and plenty of parking. Base rent is $1.08 a sq. ft.! Monthly Gross sales are averaging over $32,500. The lease has 4 years remaining, plus a five year option. This sports bar absentee operated. With just a little advertising, an owner's personal touch, one could seriously increase sales. Seller is divesting of all his restaurant/bar related businesses. Take the next step and complete the online confidentiality agreement and you�ll be provided with the restaurant name and address. Also you will given priority notification to new listings in the future, prior to the general public, giving you the best chance to �scoop in� the best opportunities. There are also more photos available to our registered buyers.This is a a Paramount Restaurant Brokers, Inc. listing. Grossed over $390,000 in 2006! 3.705 Sq. Ft. with Monthly Base rent of $4,000.